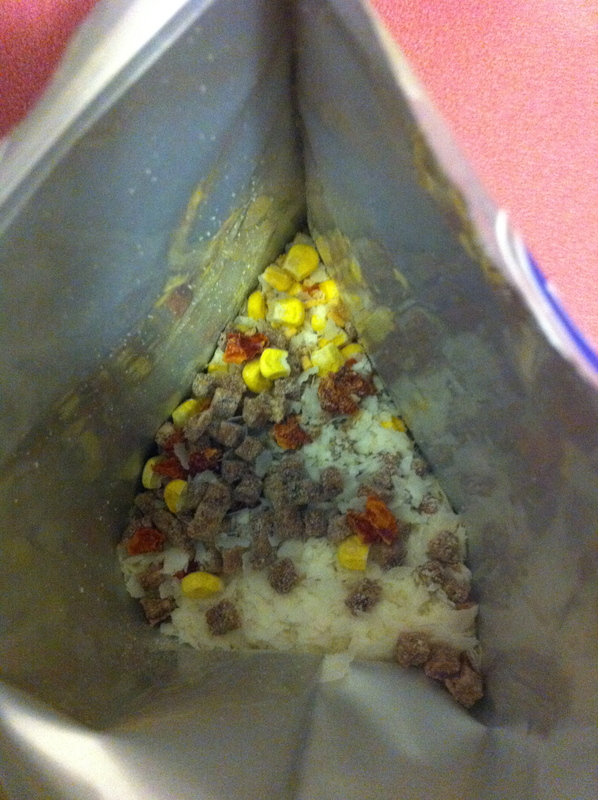 Add boiling water while stirring food. Seal bag and let sit for 13 minutes. 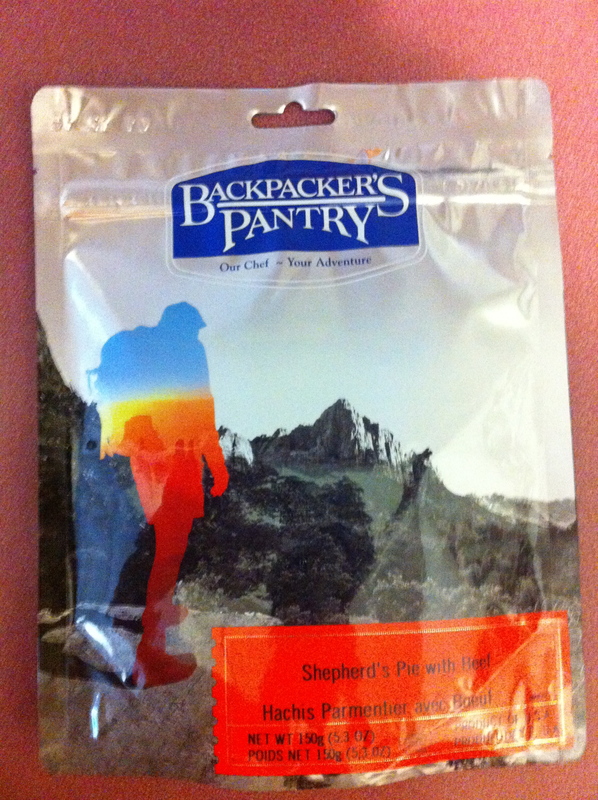 Backcountry Pantry Shepard’s Pie, inside package view. Salty with a tang that hit the sides of the tongue throughout. A bit of a potato soup by our standards, if following the recipe for exact water measurements. The first few bites after a long day in the middle of nowhere may be rewarding, but finishing it may be a chore. Lots of powdered spices that aren’t well balanced beyond, “salty”. Full disclosure: I can’t find any love for instant potatoes. This product didn’t bring me around. Backwoods: Thumbs down. Too expensive for food that can easily be prepared at home for less $$.